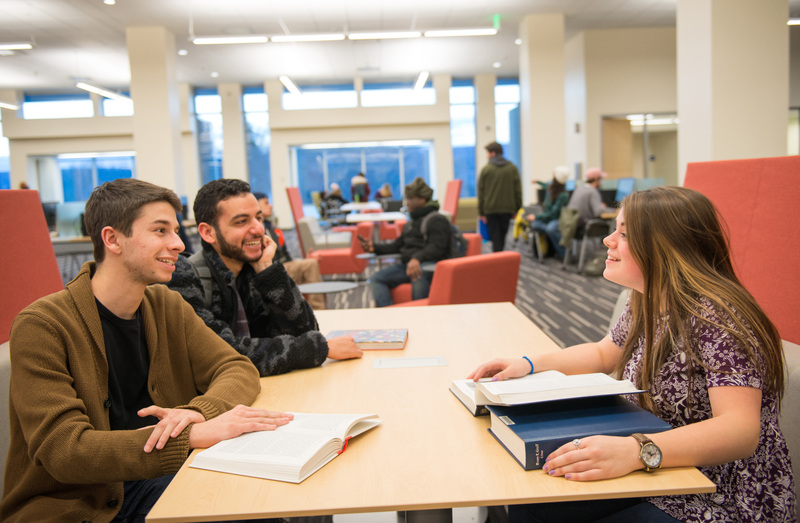 SUNY New Paltz has established the Center for Student Success, the primary on-campus resource for students seeking integrated academic services to support degree completion and an educational experience of the highest quality. The Center for Student Success extends services previously offered by the Tutoring Center with new options tailored for a diverse student population, developed through a data-informed, collaborative process, in accordance with the Strategic Plan of the College. Effective and long-standing Peer Tutoring across the disciplinary spectrum have been updated and will continue, alongside an enhanced Learning Strategist program and a revamped Writers’ Studio. Additional programs on-track to be piloted in the coming months include peer-assisted study sessions and academic coaching for targeted demographics among the student population. As the Center for Student Success grows to develop new offerings that align with contemporary best practices in this field, it will remain guided by a belief that all New Paltz students have the potential to succeed, and that partnerships among College community members are key to the promotion of positive student outcomes. For faculty and staff: learn more about the Center by visiting their “About Us” page, or contact them directly at css@newpaltz.edu. More information about the Center for Student Success is available online.